This has to be one of my favorite times of year! The temperatures are getting cooler. The trees are turing and Halloween is just around the corner. Perfect time for a Halloween Challenge. Challenge #27... It's that time of year to get your spooky on! 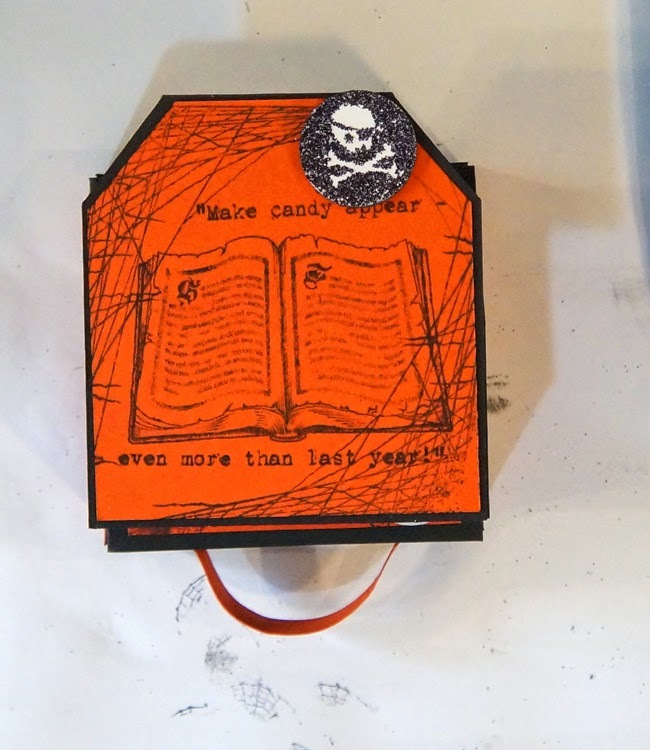 Raisin Boat has 19 wonderful Halloween sets to help you out. You can create a decoration, a scrapbook page of your little goblins, a card or what ever you would like with a Halloween theme. You may just win a FREE stamp set of your choice! You can enter as often as you like. Use any set you have (you don't have to limit your entry to Raisin Boat stamps), but if you use a Raisin Boat stamp set, it will count as two entries. That gives you twice the chance to win a FREE stamp set of your choice! Remember you can rent or buy sets from Raisin Boat. No guilt in using a set for just one project, such as a challenge. We look forward to seeing your creations! This challenge will close on the 12th of October. 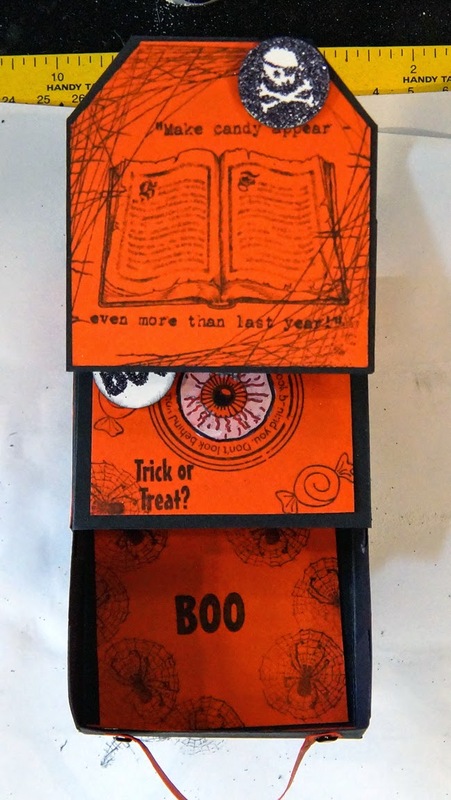 I created this fun 3X3 one drawer Easel Tag Card using, Halloween All Around, and Haunting Potions. I followed TheScrappyBookworm1's video on how to make this amazing little gift box card. It is really fun and pretty easy. Cynthia does a great job with her tutorial. Here is the video I made telling what I did. I hope you will join the fun challenge over at the Raisin Boat Blog. Oh wow this is great Linda - cute for Halloween! I'm catching up on my visiting blogs today!! Hope you are well.